You never stop learning. Your personal development does not stop when you have arrived in the National Board of a National Scout Organization. 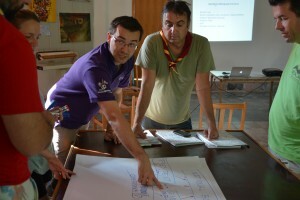 That is exactly why the National Board of the Scout Association of Macedonia (FYR of) asked the European Region to run a training for the members of their National Board. 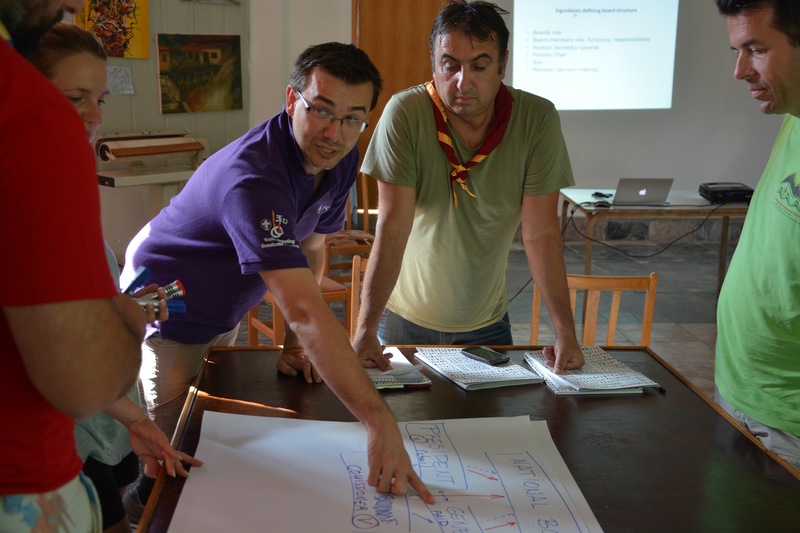 So this passed weekend, they gathered in their lovely Scout Centre in Ohrid together with facilitators from the Organizational Development Core Group (ODCG). In a mix of practical exercises, interesting discussions and conceptual inputs, they concluded a successful two days of learning, personal development and for sure a lot of fun – not only watching football but also enjoying a quite special atmosphere at the shore of lake Ohrid. The workshop „Welcome on board“ included topics such as the Role of a National Board within an Organization, Roles and Responsibilities of a National Board, Strategic Planning, Designing Effective Organizations, Change Management, Stakeholder Management and Succession Planning. The training was also part of the ODCGs efforts to develop a new approach in induction trainings for National Board members. Based on this experience and a previous training in Lithuania, there is now a full set of workshops and sessions targeted at members of National Board. It is available to all NSOs and NSAs through the tailored support framework. If you are interested to know more about it of if you think your National Board would also like to go through some reflections on their work and their way of working, don’t hesitate to contact the ODCG.